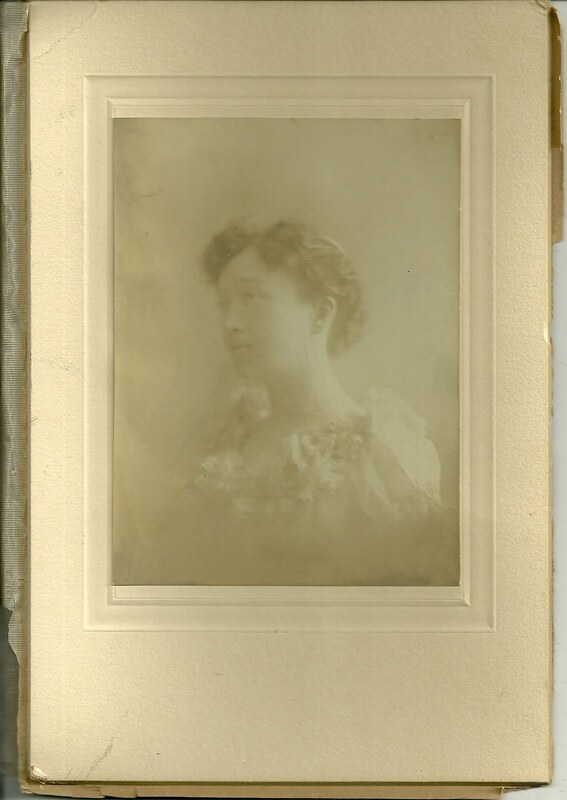 Vintage photograph of a young woman identified on reverse as Mildred Rowena Webster; the photograph was taken at Christmas, 1907. I haven't had any luck determining just exactly who this lady is. I found an obituary for a Mildred R. Rousseau, whose maiden name was Webster, but she was born in 1916, too late to be our Mildred. If you have any information on Mildred Rowena Webster, please let me know. Interesting. I wish the photograph had a photographer's imprint with address so we would have had another clue. Could be a coincidence but, on the other hand, you may be looking at a relative!